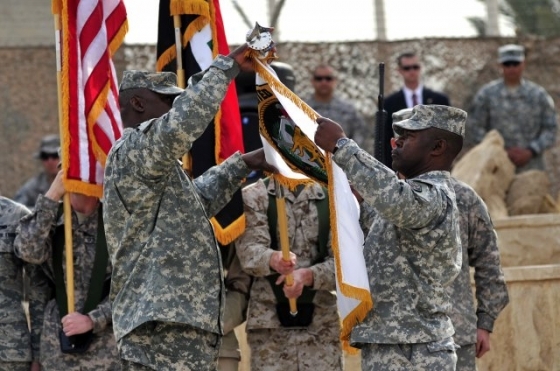 Today the colors were cased in a ceremony at the US Airbase co-located at the Baghdad International Airport. It really is hard to believe that this excursion in Mesopotamia is over. 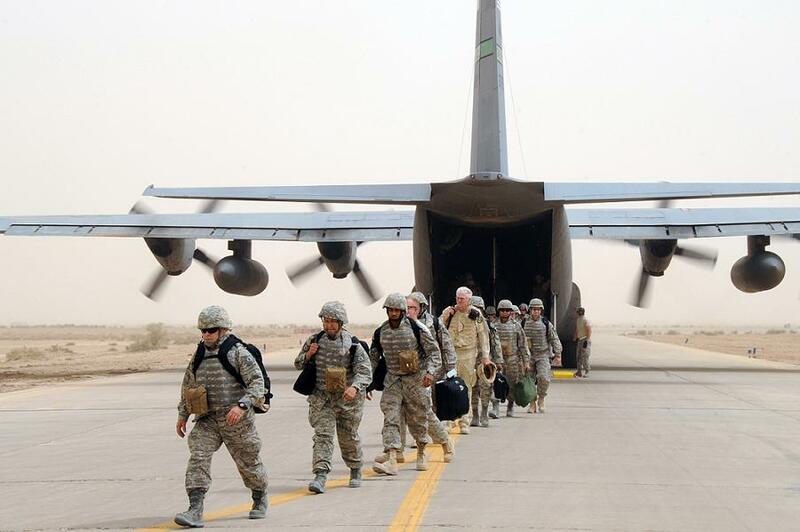 The ceremony marked the formal end to the US military operation in Iraq although a few thousand troops are finishing the retrograde of equipment from the country. The fact that we might not end up in Iraq again if the Iranians push their Iraq Arab Shia friends too hard. They may share a common strain of Islam but there really is no love lost between the Arabs and the Persians as many Iraqis will derisively call them. The Iraqis are a proud people and remember Persian rule like it was yesterday. The Persians treated Arabs like dirt and though it was centuries ago the Arabs have not forgotten. My Iraqi friends both Sunni and Shia recognized that Iran was a threat and hope that if Iran ever attempted to take Iraq over that we would help defend Iraq. The current US involvement is over after 4484 American service members were killed in action and 32000 wounded. 318 coalition Allied troops died. The Iraqi Security Forces have lost 8825 soldiers killed with a further 1300 killed during the initial invasion of the country. 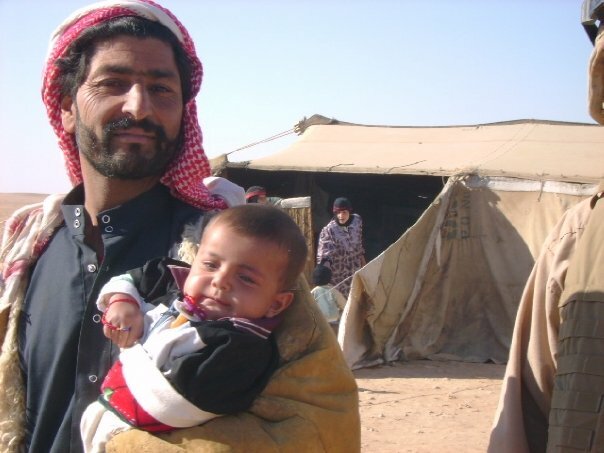 Over 100,000 Iraqi civilians are believed to have been killed and some agencies have estimated far higher totals. Of course the Iraqis are still taking casualties as extremist groups both Shia and Sunni continue their blood feud and the Shia majority tries to solidify its power over the minority former ruling party Sunni. Over a trillion dollars was spent on the war by the United States and long term costs are expected to reach 2-3 Trillion dollars. Of course Iraq is still reeling from all of the damage and its involvement in wars with Iran from 1980-1988, the invasion of Kuwait by Saddam Hussein in 1990 and the United States response Operation Desert Storm, the post war sanctions and the enforcement of an oil embargo and a no-fly zone to keep Saddam contained even as he butchered thousands of Iraqis who rose up against him after he was driven from Kuwait and the the current war which began in 2003. But the numbers are not just numbers, behind every one is a family, wives, husbands, parents, siblings and children as well as friends. Every one has a name and a face and all meant something to somebody and left a void when they died or were irreversibly changed by the war. That pain and cost will go on for a long time and there are no words that adequately compensate for these losses. Faith and trust in God’s grace help some but others struggle, even believers. That I know for a fact because I still do. 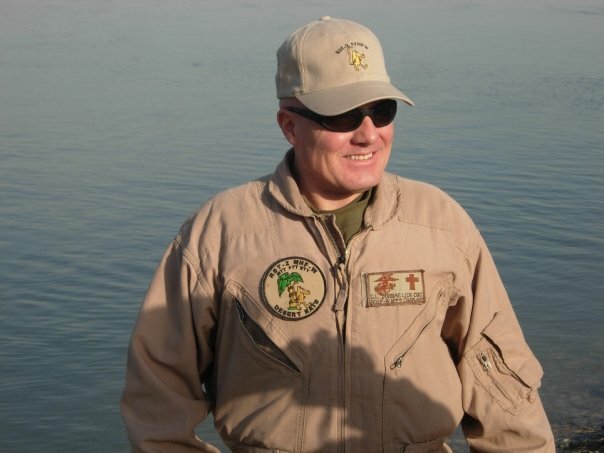 I remember flying into Baghdad in 2007 it was the height of the “surge” and I was going to provide Chaplain support to US Advisors to Iraqi Army, Border, Police and other Security Forces in Al Anbar Province. At the time the base was shelled and when we exited the aircraft it was no peacetime drill we left in our full gear and were brief on what to do should we encountered incoming fire. 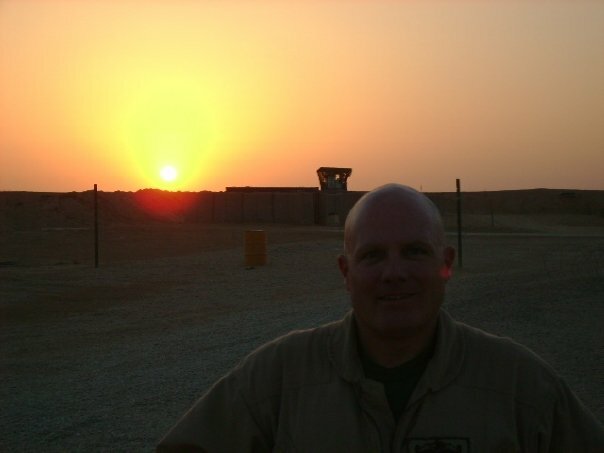 It was in Baghdad that I first experienced a rocket attack when one flew over my head. But now the bases are empty, it must be surreal to be one of the last Americans leaving the country. 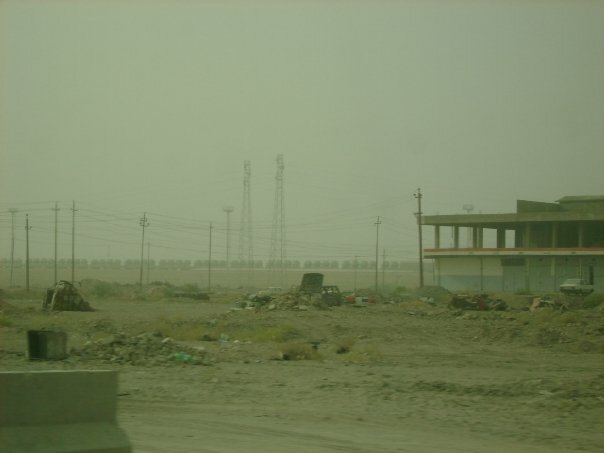 When I was in Iraq in many places there were the remains of Saddam Hussein’s military. 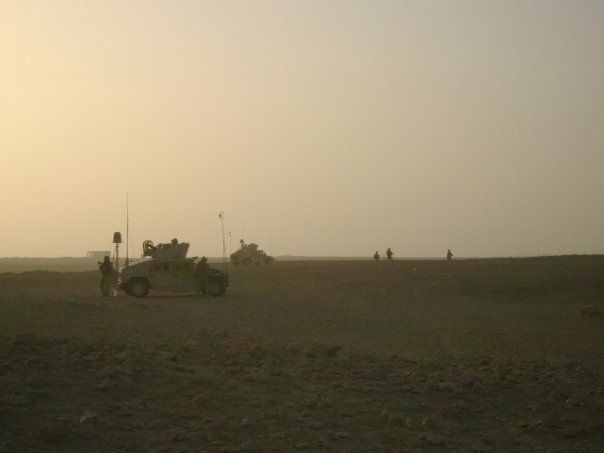 The base that I operated from had a number of abandoned or damaged Iraqi bombers and fighter aircraft parked at it. Of course most of the existing buildings were converted to American use. 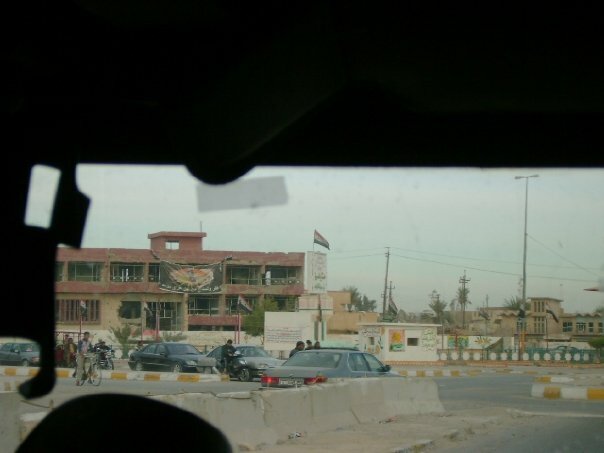 The biggest of these were the Al Faw Palace complex at Camp Victory but Camp Fallujah was the site of one of the Baath Party resorts used by Uday and Qusay Hussein. 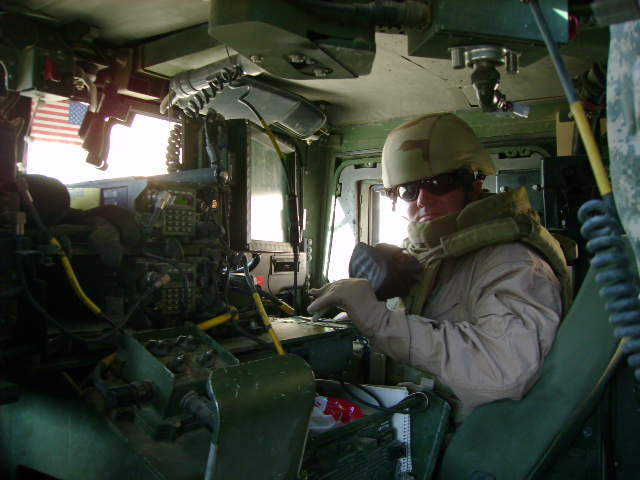 I stayed there couple of days while traveling from Baghdad to Taqaddum which was my base of operations because of the capability to get around by air to where I needed to go and proximity to many advisor teams supporting the Iraqi First and Seventh Divisions. Back then all were major bases with a large American presence which was inflated by many of the contractors, American and from other countries that supported base operations from the chow hall, to the laundry, the fire department and even the cleaning of the shower trailers and countless porta-johns. People will debate for many years whether the war was worth it and I can only say that I hope that history will show that it was despite the huge loss of life, the destruction of a country and the vast expenditure of the national treasury. It is probably too early to make that judgement, we tend to be pretty bad in making those decisions in the moment. That is one of the problems in this age of information overload. We have lots of data but no historical context and we make decisions that we thi nk are correct but find out years later were tragically erroneous. At the same time we cannot go back in time and change the past. For good or for bad we have to go forward from now and hopefully in time Iraq and its people will recover from the effects of over 30 years of war and economic sanctions. We will find out over the next 10 to 50 years what the real effect is. But for now we are left with a weak Iraq, a strong and threatening Iran and our own diminished military capacity and weak economy as well as a war that is not going well in Afghanistan. I doubt that that can give comfort to the families of those that died in Iraq or came back wounded in mind body or spirit. I know that I came back different, PTSD has a way of doing that. 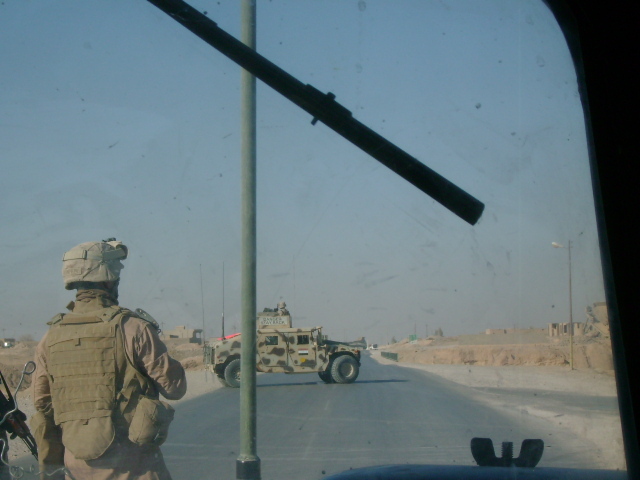 But I am proud of the Marines, Soldiers, Sailors, Airmen and Iraqi officers that I served alongside in the badlands of Al Anbar Province mostly far away from the immediate help of any big units if they got in trouble. 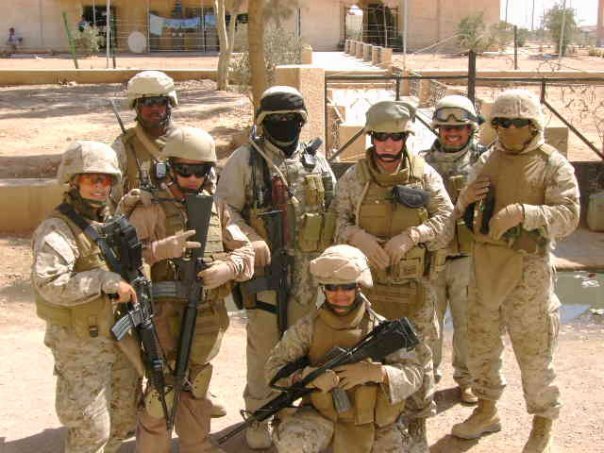 I know how valiant and skilled they were fighting Al Qaida Iraq and other insurgents and even foreign fighters from places like Chechnya aided by Iran and others. 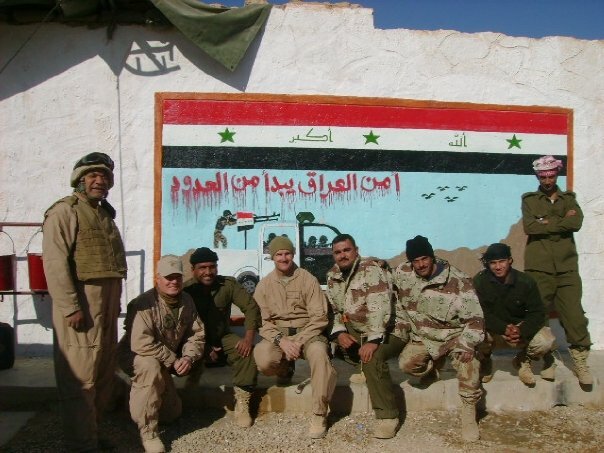 It was a brutal fight at times but the men of the Iraqi 1st and 7th Divisions and our advisors helped turn the tide during 2007 and 2008. Without their diligence and toughness combined with the help of Iraqi civilians the war would have ended differently. Tonight as I walked the dog to the beach I looked up at the sky. In our neighborhood there are not many street lights and most are clustered in one small area. Since many residents are not here in the winter many of the homes are dark as well and there are areas that have no houses but are lots covered in pine trees. In the dark I was thinking about Iraq and I could hear the sound of the sea crashing on the beach. I looked up at the sky and saw the most stars I have seen since being out on the Syrian border in December 2007. 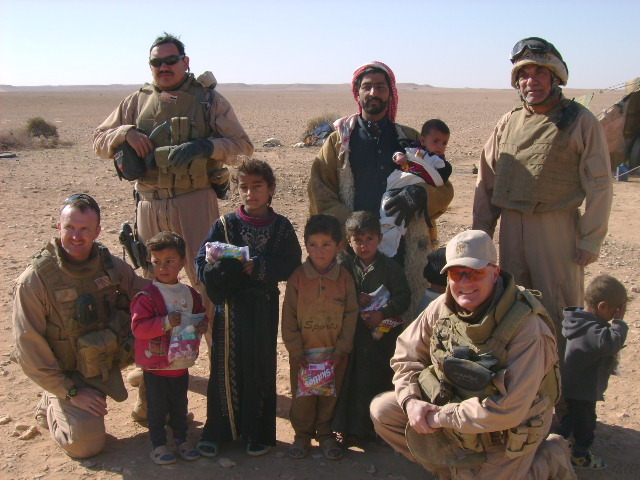 I was reminded that I left part of me in Iraq and I pray for the Iraqis that I served with and those that provided us hospitality during our missions. 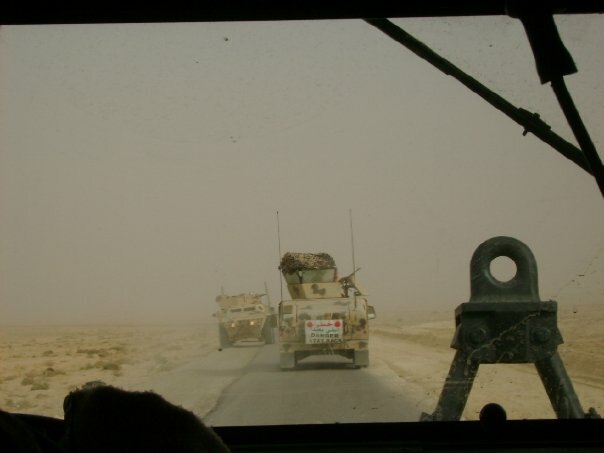 The world is not a safe place and our near about 140,000 US and NATO troops are still engaged against a stubborn enemy in Afghanistan that has been aided by wavering allies such as Pakistan and sworn enemies like Iran. War seems to threaten on many fronts. I pray that we will be prudent before entering another. I have rambled a bit tonight because I have so many thoughts and images of the war. I trust your indulgence. But for now the colors have been cased and our military involvement in Iraq is over. We can only pray that Iraq will recover and become a free and prosperous country that treats its citizens well and that we too will recover from this war. But then Bismarck is sometimes quoted saying that “There is a Providence that protects idiots, drunkards, children, and the United States of America.” I do hope that if he did say this that he was right. Tagged as 1st iraqi division, 7th iraqi division, afghanistan, al anbar province, al qaeda, al taqaddum, baghdad, baghdad international airport, camp fallujah, casing the colors, closed military bases, end of iraq war, fort indiantown gap, fort wolters texas, george air force base, ghost towns, iran, iran-iraq war, iraq casualties, iraq cost, iraq surge, iraq war, operation iraqi freedom, Otto von bismarck, pakistan, preventive war, saddam hussein, syrian border, uday and qusay hussein, us military, was iraq worth it? Nelson and I continued to prepare in the days leading up to our first mission to the Border Port of Entry at Waleed on the Syrian border with a planned follow on to the teams of the 3rd Brigade, 7th Iraqi Division at Al Qaim about a hundred miles to the north . Waleed is about 350 miles west of TQ and 70 miles from the nearest FOB with any substantial American presence known as Korean Village or simply KV. We were in constant communication with the team that we to visit via VOIP and SVOIP telephone and secure and non-secure e-mail. 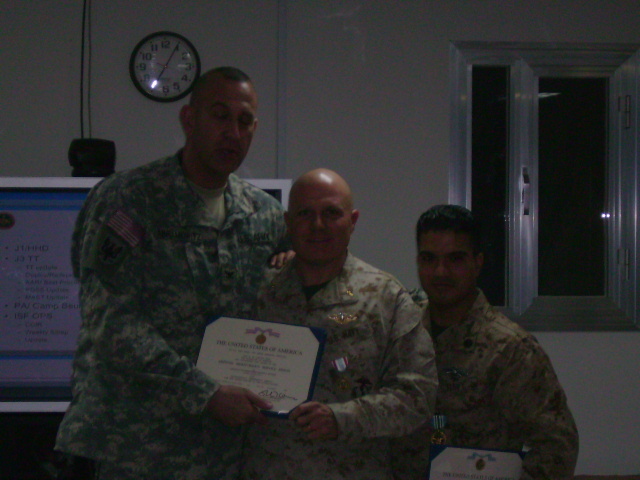 The commander of the Border teams, which included Border and Port of Entry adviser teams was Lieutenant Colonel Bien. Our mission in getting out to the furthest point west was to meet up with an incoming and an outgoing Port of Entry team and see what we could do to get out to other posts along the border. 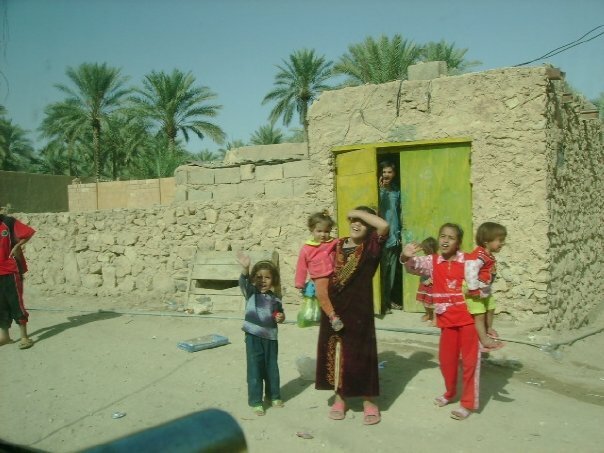 Nothing in Iraq is easy. The get out to Waleed we had to make a two day trip from TQ, through Al Asad out to Waleed. Our flight out was a day flight on an Air Force C-130 to Al Asad. 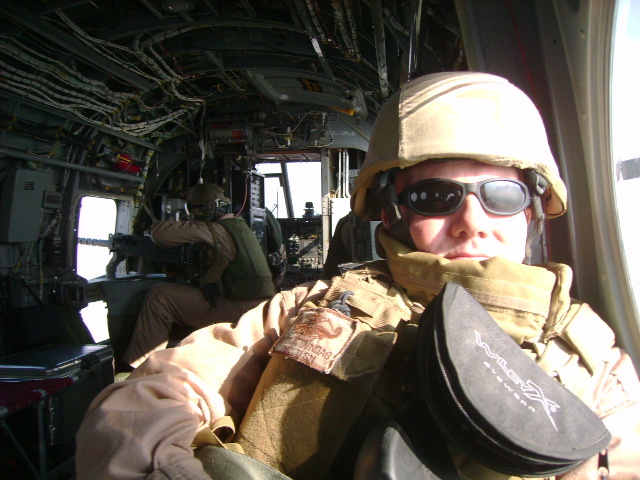 Our contacts in the G3-Air at 2nd MLG were good in helping me figure out the Air Force flight request which was different than the normal Marine Air Support Request. For this mission I had to submit two Air Force and three Marine Air Support requests. Simply submitting a request does not guarantee a flight. Flights are based on precedence dictated by the overall mission. Religious support was pretty high on the list but there was no telling that your flight would go until you had your approval message and even then things could change. The actual missions were not known until about midnight the night prior to the flight. So if you were a frequent flyer it meant no sleep the night before a mission as you waited to see if you were approved. This was my first time actually having to do this for real so I sat at my secure laptop in my office in the back of the TQ plywood Cathedral waiting for the flight list to be posted on the MLG G3 Air Secure Website. Finally about 0100 the list popped and our first flight was on in. It was a mid day flight which meant that we needed to be at the passenger terminal about 0930. This entailed getting our ride from the Chapel to the terminal by 0900. I told Nelson who was checking his e-mail on a computer in the RP office that it was a go and then headed off to my can to prepare. Since most of my gear for the 10 day trip was already packed I tried to actually get ready to sleep. I quickly found that simply being tired because I was up late was not enough to help me go to sleep. I was really tired but the adrenaline was coursing through my body making it impossible to sleep. I prayed the office of Compline and then played computer Ma-Jong until at least 0300 before I could finally pass out. I was up early to shower and get breakfast before lugging my gear over to the chapel. 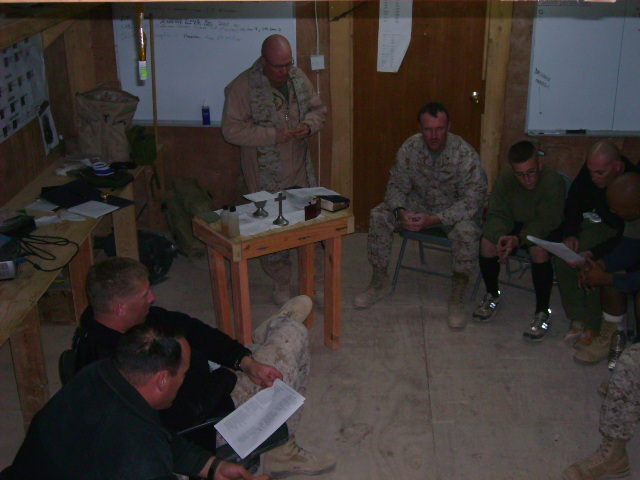 The weather as usual was about 100 degrees by the time I got back from the chow hall; I gathered my gear and went to the chapel. I took my back pack, my laptop and a flight bag. I would learn on this mission that I would need to pack lighter the next time around, but live and learn. The first leg of our trip was on an Air Force C-130 from TQ to Al Asad which we shared with a large number of previously unknown friends from every branch of service in the US military as well as various civilians and contractors. All of us had our personal protective equipment as well as our bags. The bags that we did not want to lug were placed on pallets and transported with a large fork lift to the aircraft. When you make one of these trips you are accounted for a good number of times before ever getting on the aircraft. This first mission was still in the heat of the Iraqi summer and thus the temperature inside and outside of the aircraft was stifling. We staged off the tarmac in the sun for a final role call and then in two lines who guided out to our aircraft which had just landed. As we were trudging out to the aircraft two lines of assorted passengers primarily Soldiers and Marines passed us mid way to the aircraft. As we neared the aircraft the propeller blast blew the hot air into our faces and I thanked God for the high speed Wiley-X ballistic sunglasses that I had been issued by EOD. Entering into the aircraft we had to step up onto the cargo ramp and then took our seat in the narrow canvas mesh jump seats that lined both the side of the aircraft and the center. The rear of the aircraft including the cargo ramp was used for several pallets of cargo including the bags that we elected not to carry. Sitting in the aircraft and waiting for the pallets to be loaded I thought back to my early career as an Army Officer where I became an air-load planner and embarked my soldiers on six C-130s during Winter REFORGER 1985. Back then instead of the 130 degree heat of Iraq we faced the coldest winter in 40 years in Europe in which the Rhine froze over. Although the use of computers has become routine in load plans the principles are the same as they were 25 years ago and everything on the aircraft needs to be properly balanced to ensure the stability and safety of the aircraft and that weight limits are not exceeded. As the sweat poured off of me I took off my helmet and downed part of the one liter bottle of water that I carried onto the aircraft and threw some on my face, though warm it was refreshing and I reattached my helmet as the aircrew came through the cabin giving a final safety brief. 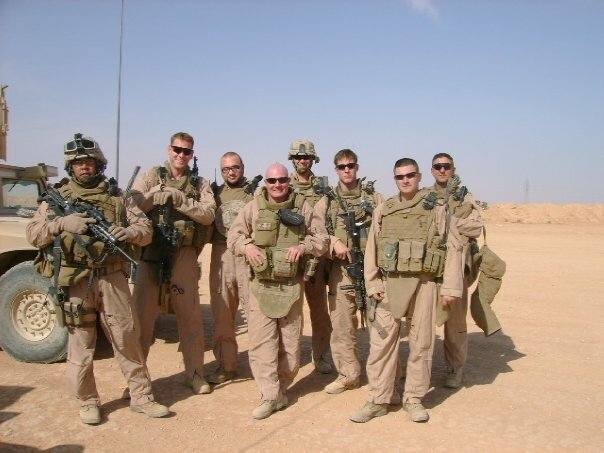 As the last of the cargo pallets were loaded about the aircraft the cargo ramp was raised, the entire time that the aircraft was on the ground was under 15 minutes, it is amazing what the Marine and Air Force ground crews and cargo handlers can accomplish. With the ramp raised the aircraft’s air conditioning began to take effect and though not the coolest air conditioning it was better than what we had up to that point. The aircraft began to roll and move down the taxiway and when it reached the end of the taxiway it made a fast turn and began its take off. Since there was a real and present danger of possible missile or gun attacks on low flying aircraft the C-130 made a steep lift off and banked right over Lake Habbinyah and continued its ascent until it reached its cruise altitude. 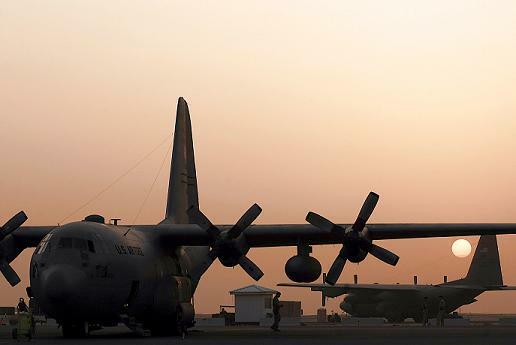 The C-130, like any cargo aircraft is extremely loud and because of this hearing protection is worn by passengers and crew and conversation is nearly impossible. The flight from TQ to Al Asad is only about 30 to 45 minutes depending on the route taken so most of the passengers took the opportunity to grab a bit of sleep or read. Nelson and I sat together on the starboard side of the aircraft not far from the palletized cargo. Nelson who can sleep almost anywhere on a moment’s notice was out quickly; and although I was tired I could do little more than close my eyes and try to clear my mind. When we neared Al Asad the aircraft banking nearly perpendicular to the ground made a steep and fast approach. As we landed I could see other aircraft on the ground including F-18’s, various transports and rotor wing aircraft. The C-130 taxied to a spot on the tarmac where the ramp was dropped and we were instructed to exit the aircraft and led to the rear of the aircraft about 50 yards and then led between it and another aircraft to a group of tiny Japanese made Nissan and Mitsubishi buses in which we were loaded until every seat was full including the in aisle jump seats. Packed into the bus like sardines and smelling almost as bad we sucked in the stench, which was somewhat like a European elevator in the 1980s. After a short ride to the terminal we picked up our gear which had been delivered on the pallets by forklifts. Another muster was taken and after all personnel were accounted for those of us waiting on follow on flights checked in at the terminal. After being accounted for we got our temporary billeting in large tents about a hundred yards from the terminal. The tents were large and poorly lit with plywood floors and several air conditioners built into the sides of the tent. The bunks were in very poor condition, many broken and even more with dirty worn out mattresses sagging in the middle. Nelson and I looked at each other and Nelson made some comments about the accommodations and we each found a bunk grounded our gear and settled in for a bit in order to clean up before trying to go get some chow. Next: Air Travel In Al Anbar: the California Line.